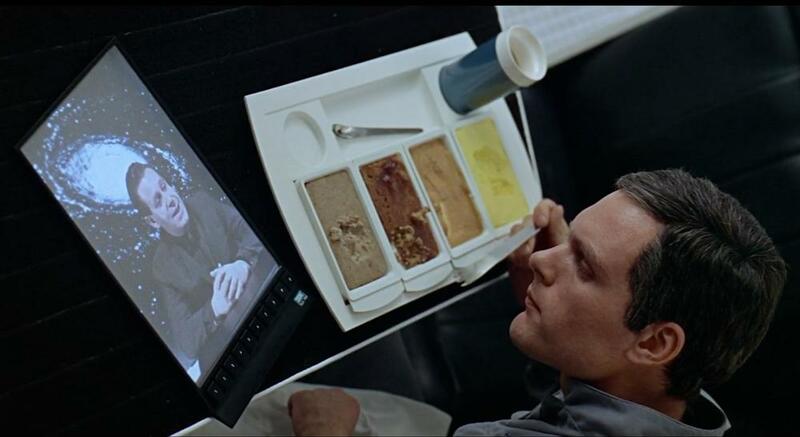 I'm by no means the the first one to point this out, but there is a scene on Stanley Kubrick's 2001: A Space Odyssey where two astronauts on a mission to Jupiter eat a meal while watching video on what look like iPads. Given the fact that the movie was released in 1968, the prediction of this technology is pretty amazing. The flight to Jupiter portrayed in the movie occurs (as one might expect) in 2001. Apple didn't release the iPad until 2010. Although other tablets were released into the marketplace earlier, most of them were pretty bad. Of course, the more significant botched prediction is that a manned flight to Jupiter would occur in 2001. Thanks to Nixon's decision to defund NASA, that wouldn't even come close to happening. If you look closely, the tablets in the movie are made by IBM, a company that in real life would abandon the manufacturing of PC hardware in 2004. Instead, the tablets of today were instead created by a company started in a garage by a bunch of hippies eight years after the movie was released. Still, it's one of countless small details that contribute to this visually stunning film (despite the fact it's last 10 minutes remain completely incomprehensible).